Mount Vernon Tours give you a thorough view of this beautiful home! 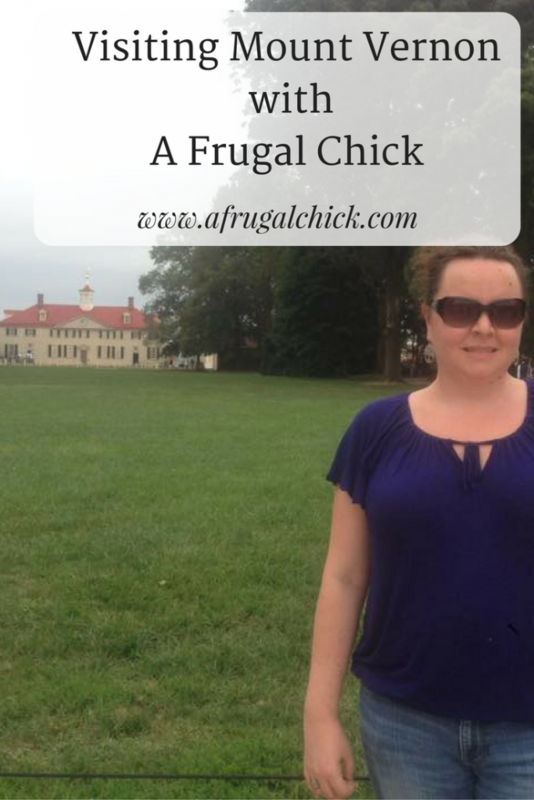 After my trip to Virginia’s Monticello I wanted to continue my tour of President’s homes. So my mother and I headed to check out Mount Vernon in Alexandria, VA.
We drove up the night before and checked into our hotel we booked online. Then we drove to Old Town Alexandria to look around, catch a ghost tour and eat dinner. Buy Your Tickets Before You Go! I had visited Mount Vernon twice before- once as a child and as an adult for their special Christmas Tour (which I want to do again as my knowledge of Washington is so much more thorough now). While you can get tickets the day of your visit most of the tours will be sold out. And specifically with the Premium Mansion tour I would hate for you to miss things- the house is fascinating! 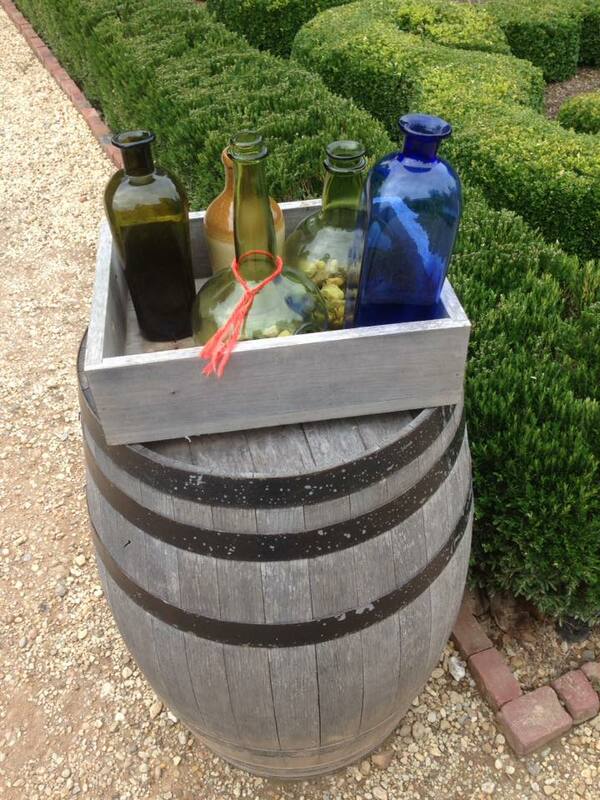 Mount Vernon has a variety of tours and each of them is an extra cost above and beyond entry. At the time of this writing entry is only $18 for an adult when you purchase online with senior, military and children’s discounts available. 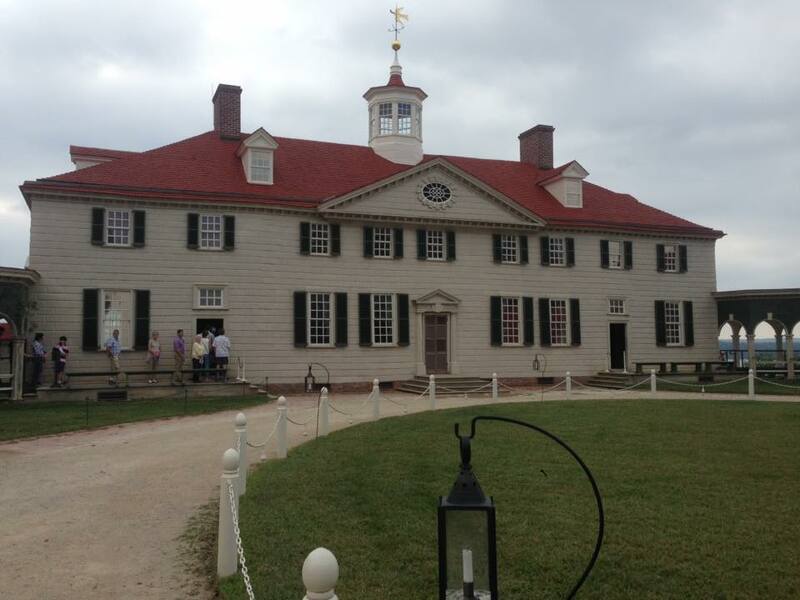 Premium Mansion Tour- Any ticket that you buy to Mount Vernon gives you a tour of the house. You actually buy your ticket by entry time. However the Premium Mansion Tour takes you into parts of the house the normal tour does not. And because it takes longer they currently only offer it twice a day- 9:15 a.m. and 4:45 p.m (basically at open and close). Since we were going to be making the three hour drive home after our visit we decided to take the first tour of the morning. As with most homes like this we could not take pictures inside the house but above you can see our tour guide and part of the group in the kitchen. Like most people Washington’s kitchen was not attached to his home so we were allowed to take photographs. The other reason I LOVED doing the tour first thing was that we had not yet toured the grounds. So when the guide talks about Washington having two burial locations I made a note to be sure we found them both. That happened several times on the tour- I was glad to have an agenda for wandering around the rest of the property! It also made conversation more interesting with people on the grounds. 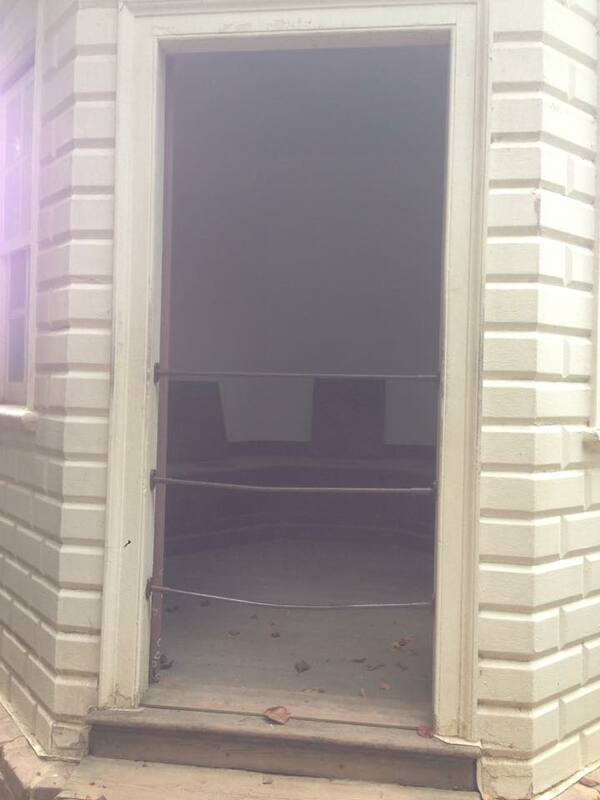 Recognize this door? It’s the one Nicholas Cage emerged from after escaping through the fictional underground tunnels from Mount Vernon. In reality it’s an ice house and he would have fallen to his death. They opened the door so we could peer in! National Treasure Tour– PLEASE DO NOT MISS THIS ONE! 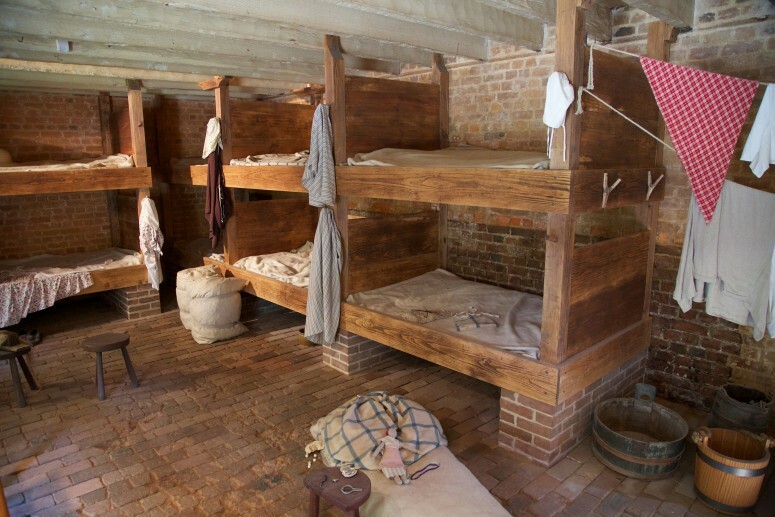 Go behind the scenes to see the Mount Vernon locations that played a starring role in “National Treasure: Book of Secrets.” This popular tour combines Hollywood and history with stories about the filming and information on how the locations were used during George Washington’s time. Our tour guide was FANTASTIC and actually present when they were filming the movie. He talks in depth about the filming, what Hollywood had to do to even get on the property in the first place and how staff contributed to the accuracy of the film. Included in this approximately hour-long walking tour is the Mansion’s basement and cornerstone, the setting for a pivotal scene. I enjoyed this tour even more than the tour of the house! You are fine if you don’t see the movie before you go- my mom had not and still loved the tour. I’m sorry my picture stinks- this beautiful view was beyond my cell phone’s capability! Sightseeing Cruise of the Potomac– you see Mount Vernon from a different perspective during this 45-minute narrated sightseeing excursion on the Potomac River. Our guide was HILARIOUS and smart. 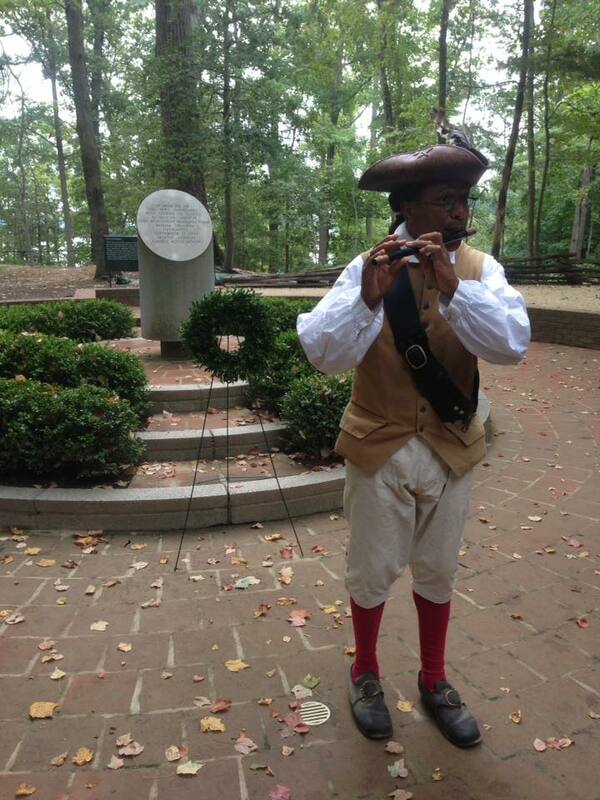 You also learn about the river’s history and discover how it contributed to Washington’s business ventures. (Washington took both fish and ice from the river and made a good portion of his living doing it.) There were also old military buildings along the Potomac that gave us a great picture of what life was like when Washington was alive. Even having studied Washington I learned a ton on this trip. 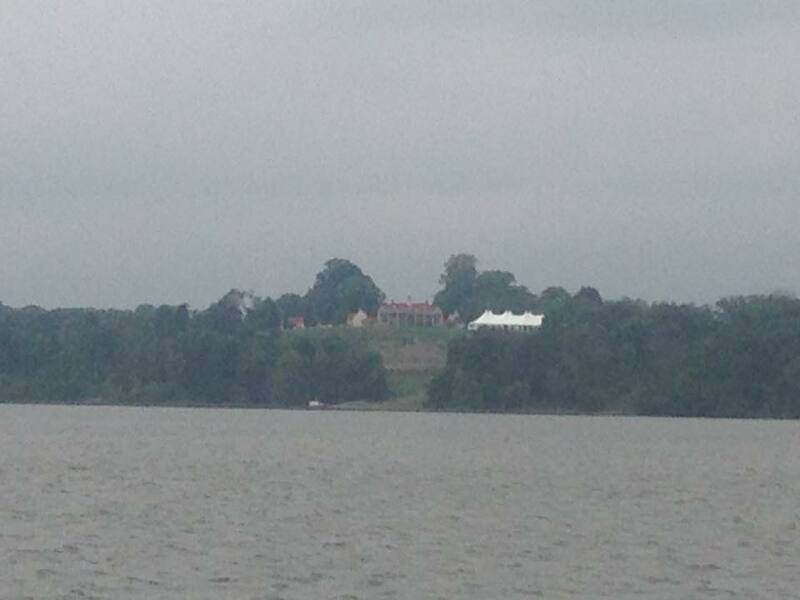 Washington’s Burial Sites– According to our tour guide as Washington requested that a new tomb be built. He didn’t want to be buried where the rest of his family was. I thought it was kind of strange until we walked down and saw The Old Vault. It’s a little unassuming for the first President of the United States. 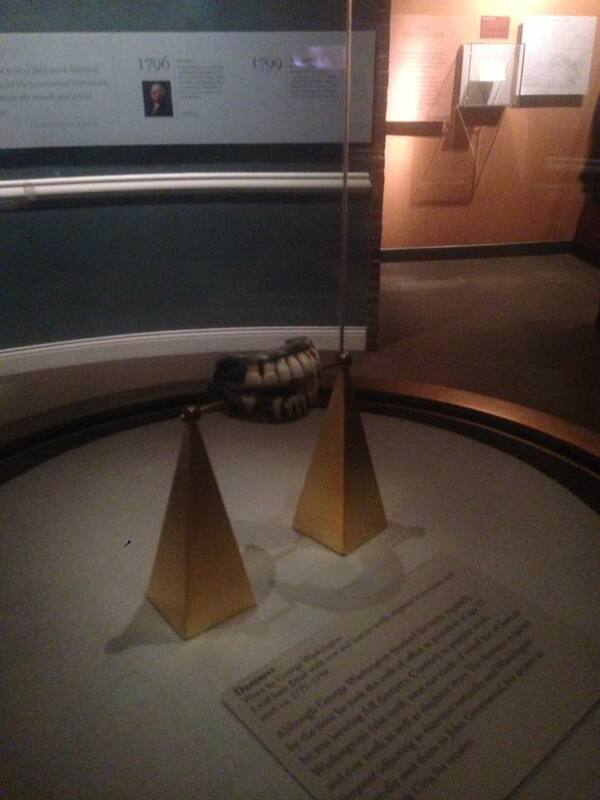 Be sure to stop by and see it as you head to see his current burial site- which is a bit more ornate. At the tomb, Washington is buried next to his wife Martha, and in back of them is a crypt filled with Washington’s relatives. Daily a wreath is laid on the site and I believe there was a schedule in the map we received when we entered. 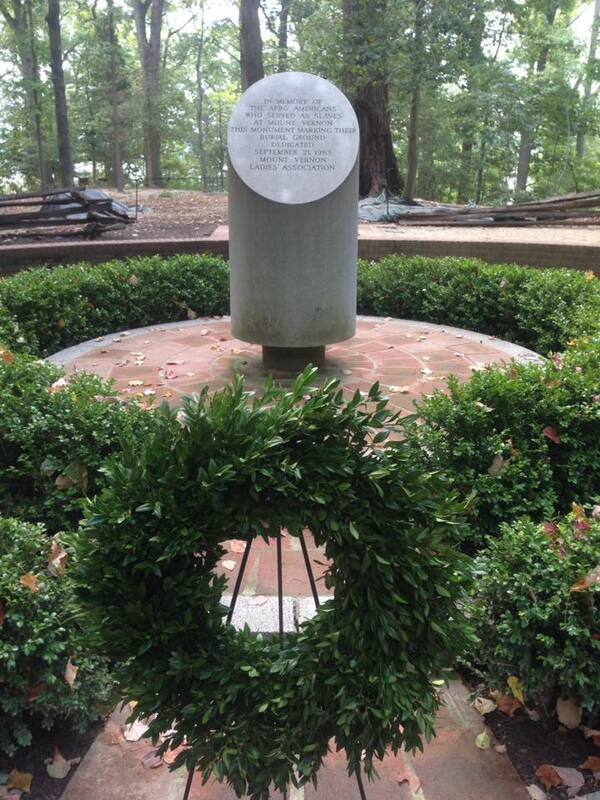 Slave Quarters and Slave Monument- Though Washington released slaves after his death he did keep many on the estate. Their kitchens, housing and other areas have been restored so we can see what it was like. Additionally there is a monument near the slaves graveyard honoring them. A service is held there as well each day and we met some wonderful musicians honoring the site by playing music on it. Where the farmers worked down at The Pioneer Farm. The Pioneer Farm- Washington was a farmer and used some of the most advanced technology of his time. When the weather is nice down the hill from the house (near where the boat leaves) you will find the Pioneer Farm. 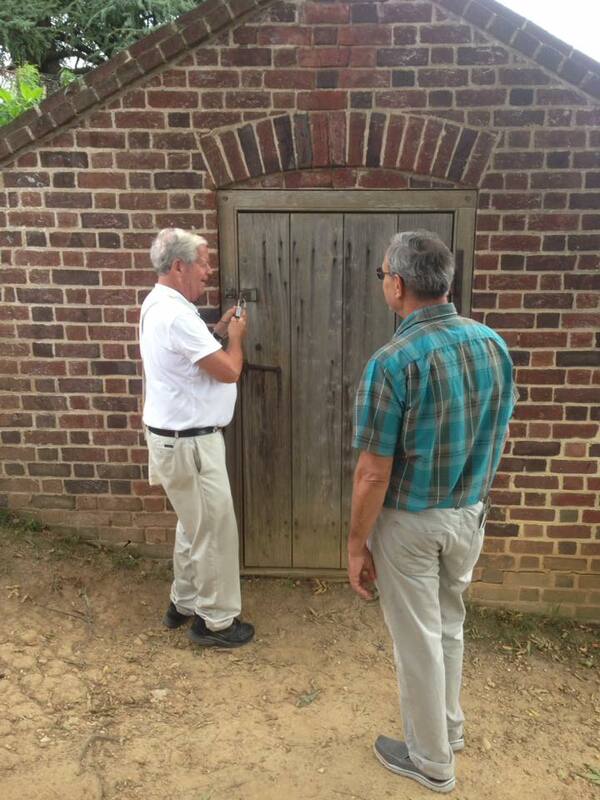 It is a full working farm designed to replicate the kind of farm that Washington would have had at Mount Vernon. 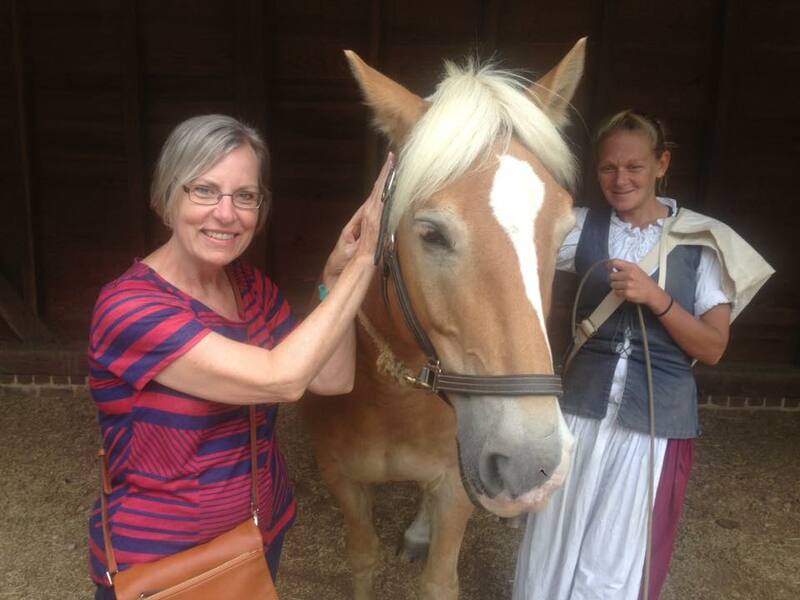 My mom’s favorite part was meeting the horse. 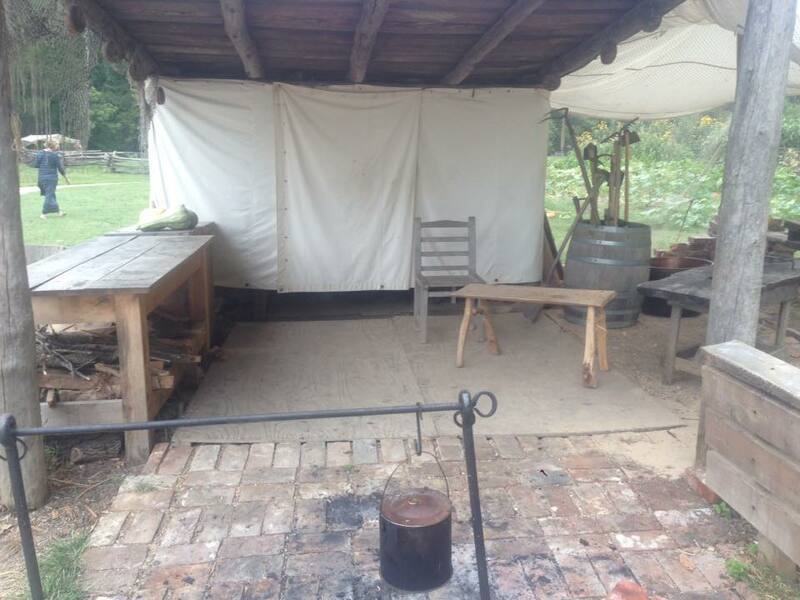 There are live demonstrations, animals to see, and a slave cabin that you can walk through to see how slaves lived at Mount Vernon.There is also Washington’s 16 sided barn, his own invention to aid with the treading and preparation of wheat, which was his biggest crop. The Education Center- Naturally Mount Vernon has a huge collection of items about the Washington Family. Be sure to set aside time to go through the museum. And yes, those are his teeth- not made of wood! Plan to be there from open to close if you can. People said it would only take a few hours- they were liars. In order to see all the gardens, the house, the grounds and go through all the museums and exhibits you need the time. Don’t miss anything! 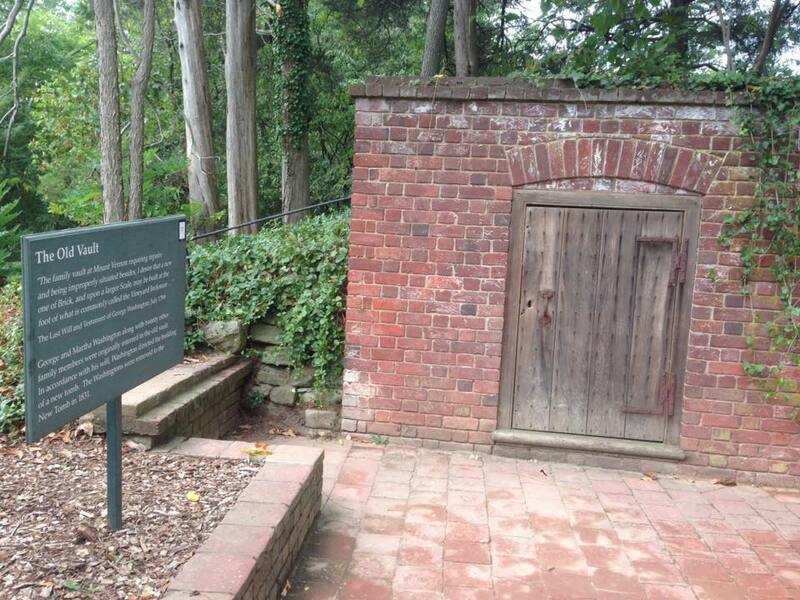 Washington’s house is a decent walk from the visitor’s center and doesn’t have modern plumbing. Make sure you use the facilities before you head to the mansion. There is a shuttle down to several areas. Just inquire when you arrive about the schedules and locations. This is a toilet guys. The men’s toilet actually. They all just used the bathroom together. DO NOT EAT IN THE FOOD COURT! 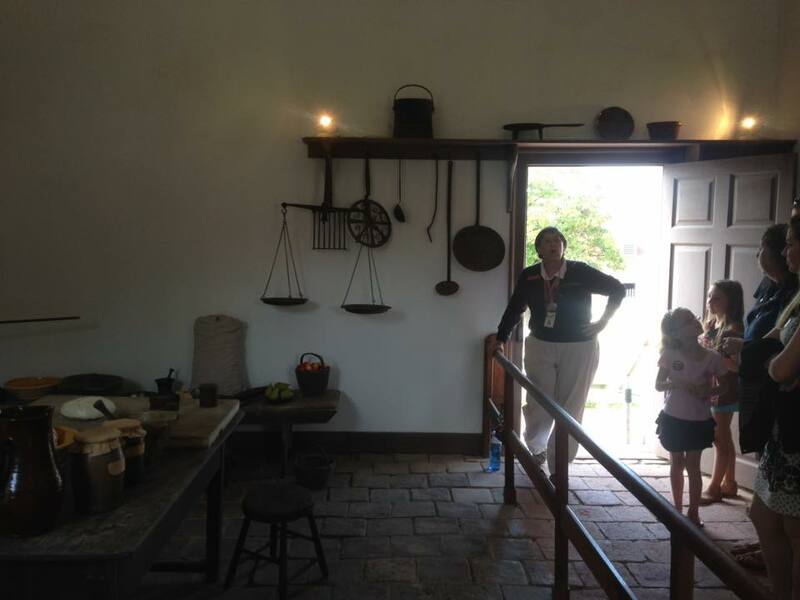 After the amazing food at Virginia’s Monticello I was expecting the same at Mount Vernon. I was so disappointed to walk into something that looked like a food court at a bad mall. And it tasted as it appeared. The Mount Vernon Inn Restaurant is a sit down restaurant with colonial inspired food, in a beautiful space that will remind you of the mansion that you just saw! It’s located near the education center and if you want to eat on site I would suggest trying it instead. If you want to eat at the restaurant, definitely make reservations in advance, as they tend to be very busy. Your car will likely be parked close to the property so you could also pack a lunch and go out to eat it. Great post! Brought back good memories. Thanks! This is a great write-up with super tips!